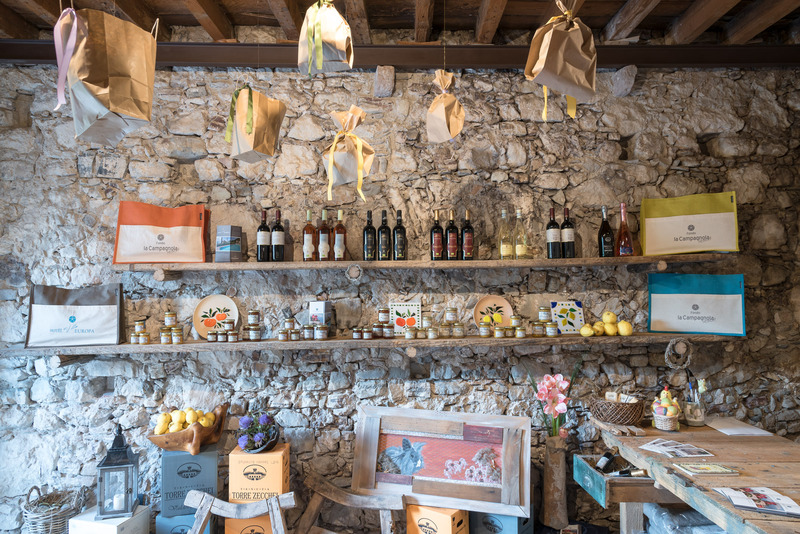 The “Bottega dei Sapori” took shape from a conservative restoration of the old inn and tavern cellar, where you will also find the complex of three apartments, called “La Campagnola”. This is where they used to produce wine from the local grape vines, which were cultivated in the “terraces” of the lemon grove, since lemon cultivation had begun to decline in the early 1900s. 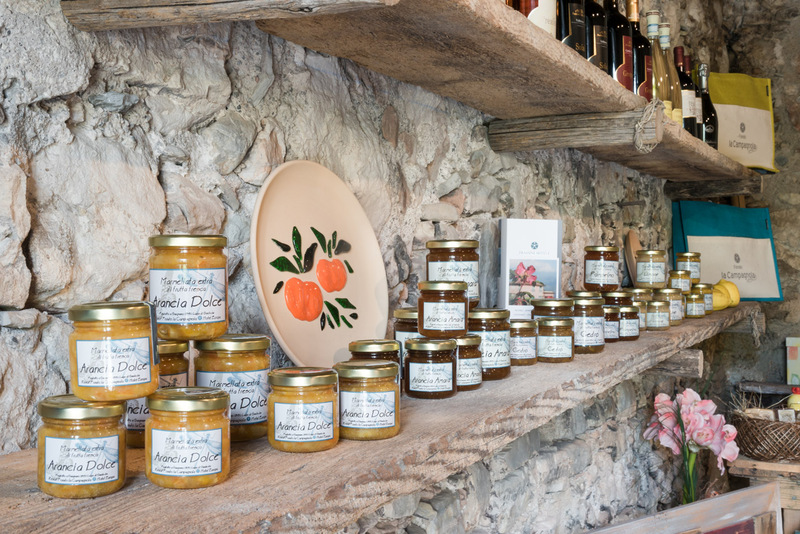 There is still evidence of such practices: a grape press, a vaporiser from the 1930s used to introduce steam into the barrels and stabilise the wooden slats, barrels, demijohns, old work tables, and shelves made with antique axes to cover the lemon trees. Produced using olives from our land. 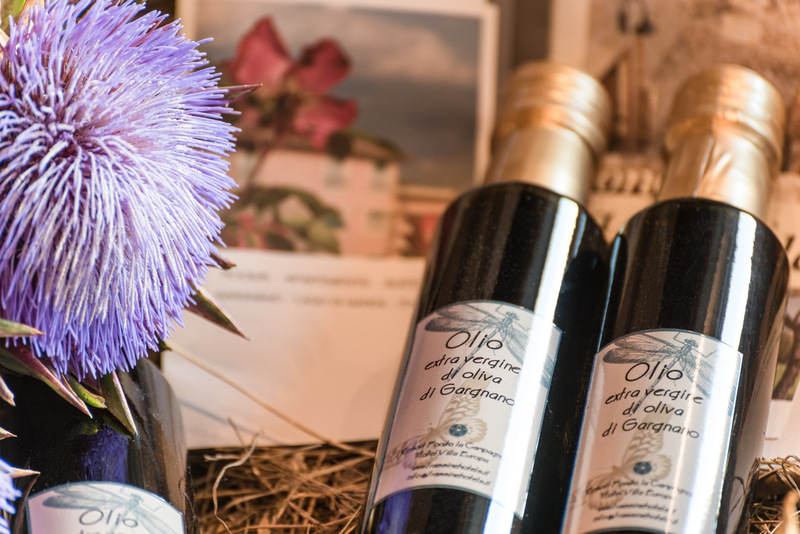 The olives are processed in the town’s press and packed into branded bottles. Sweet and bitter orange, bergamot, pink grapefruit, lemon, tangerine, citrus, fig and quince the colour of sunrise. 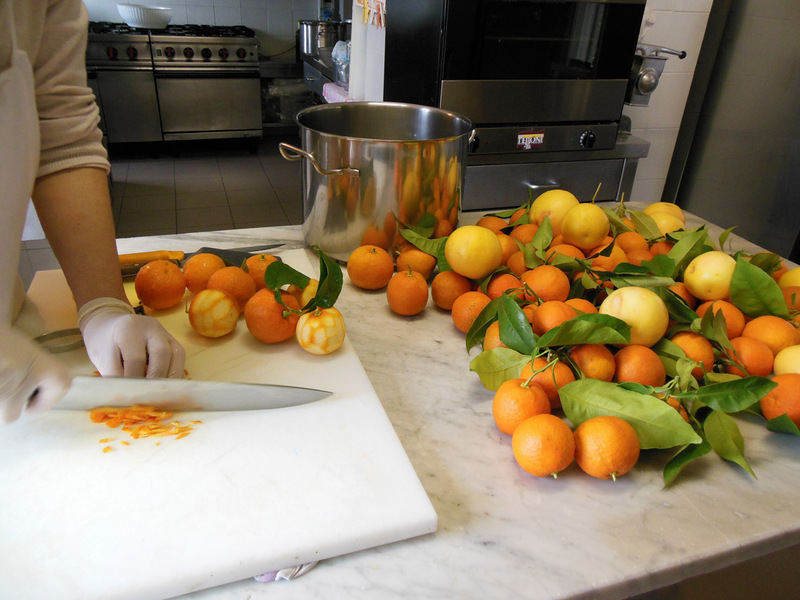 We produce nine varieties using fruits from our land. 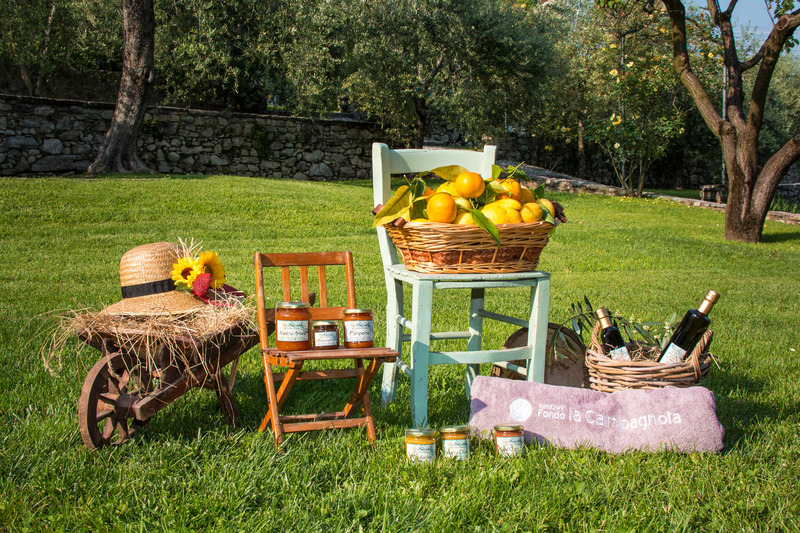 We package and promote many products because they are in line with our philosophy. UNIQUE PLACES WHERE ENJOY HISTORY AND TRADITION. 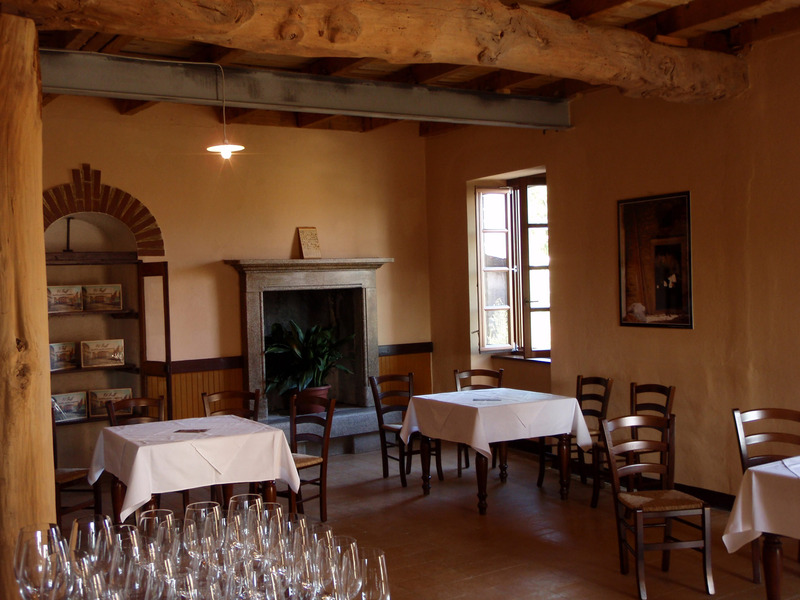 Adjacent to “La Bottega dei Sapori”, you can find the old “Sala del Caminetto” (The Fireplace Room), an ancient inn-tavern, we open it to welcome guests of the Hotel Villa Europa during events such as tastings of our products and cheeses, cold meats and local wines.